I have thousands of records. When you have thousands of records you find that you tend to forget about many of them, that you have hundreds sitting gathering dust on a shelf. To combat this, so that I could better know my records, earlier this year I reactivated my Drop The Hammer series of mixes, to investigate the various nooks and crannies of my record collection. 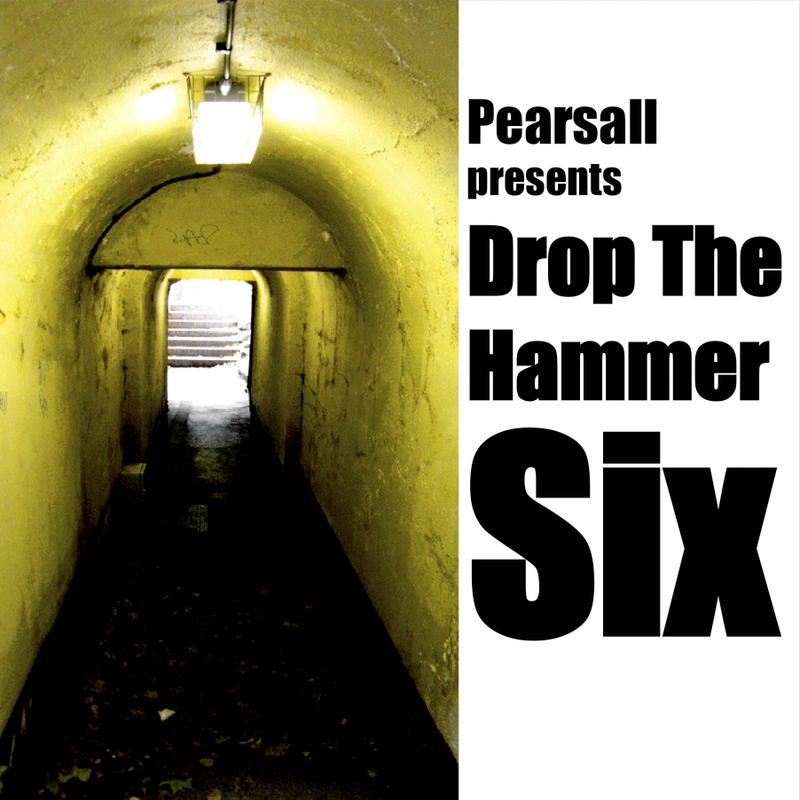 Each mix since Drop The Hammer 3 has been devoted to showcasing some of my back catalogue tunes, from breaks to electro and now drum n’ bass. This mix, which I recorded last month in London, features drum n’ bass from the early part of this decade, with every tune featured here released between 2000 and 2003. Understandably, you might now be asking way. Why drum n’ bass from the early noughties? I recognize that this might seem a bit strange as a concept. After all, the really celebrated period for jungle/drum n’bass, the time that people get really nostalgiac about, is the early period, from 1994 to about 1996. After that people get misty-eyed about the darkside era of early Metalheadz/No U-Turn/Prototype that lasted from about 1996 to about 1998, or the jump-up jungle of early True Playaz or Urban Takeover. But who really gets nostalgiac about drum n’ bass from the early 2000’s? But why? Well, it’s a personal nostalgia thing, related to my first years in Edinburgh as an undergraduate. Doing this mix now has been a way of symbolically completing a circle, since I have now moved back to Edinburgh after six years away. Since I knew that once we got to Edinburgh I would be very busy (and I am), I decided back in August to build a large catalogue of mixes to slowly release over the next several months. This meant that not only was I going through my records to decide what to bring, but that I also had to figure out what kind of mixes I wanted to do. Some were fairly obvious (like a new edition of Squat Rocking which will be coming soon, as well as the long-promised RR Fierce tribute), whilst for the others I simply spent a lot of time poring over records waiting for inspiration to strike. So it was that while I was hunting through my drum n’ bass shelves that I realized I had a perfect concept for a new edition of Drop The Hammer. When I was 18 (ten years ago now!) I lost interest in drum n’ bass after years of maniacal passion. Years of relentless darkside rinseouts had started to bore me. There was only so much pitched-down amen drums, blaring Reece basslines, and monochromatic dark vibes I could take so I started listening more and more to acid techno/trance, which had that ravey flavor that had gone missing from so much drum n’ bass. I never completely lost my interest in dnb, though, so it was in the early part of this decade that my passion was reignited, so I’ve done this mix is as a loving tribute to that time, and to the tunes that really excited me. Although this is quite a bit heavier than, say, April’s A Springtime Feeling, I’ve still deliberately tried to mix it up, so that there is a variety of stuff on here, including massive anthems such as ‘Hornet’, ‘Up All Night’ and ‘Vault’ as well as lesser-known gems like Peshay’s wicked ‘Juice’ or Total Science’s stunning ‘Eastern Promise’. I’ve also tried to vary the mood, with hardstepping dancefloor bangers flipping into old skool influenced party tunes, and darkside tearouts emerging from slinky rollers. I’ve also done two mini-tributes within the mix, with three-track sections of tunes and remixes from Dillinja and Total Science. The Dillinja tunes were from the period when he was moving from being a producer of highly technical arkside tunes to a simpler, more party-oriented dancefloor sound. I think his tunes later got a bit too cheesy for my taste, but the three that I have featured here have always pushed my buttons, so it was nice to give them another airing. The Total Science section is simply due to the fact that they were my absolute favorite producers at the time, due to the effortless way they combined manic old skool riffs, thundering bass, and inventive drum programming into a thrilling sonic stew. I couldn’t pick only one of their tunes – it just wasn’t possible! Therefore the mini-tribute made perfect sense.